People often ask me, 'Where are you from?’ The short pragmatic answer is that I live in Auckland, and part-time on Waiheke Island, a 30 minute ferry ride out of the city. However, my sense of belonging is more complex. At an organic, cellular level I am the product of the social and physical landscape that is found on the West Coast of the South Island. Evonne Rust, a renowned New-Zealand artist called the young people she taught on the West Coast, 'bush children'. I was a child of the bush and this is where I experimented with resilience and learnt to value solitude and curiosity. I was the first person in my immediate or extended family to go to University. Coming from such a small country town as Greymouth, it was a constant joy for me to wander amongst the vast resource that a University library offered. I often left this environment buzzing with the awareness that I could educate myself in such a library beyond the dictates and structure of a discipline or course . Post-graduation, I changed tacks and applied for a child psychotherapy internship at Manawaroa, Department of Psychological Medicine, Palmerston North. The next three years provided me with an amazing opportunity to expand my knowledge and pursue my passion of working with children and their families. Each day I spent time in the medical library and each day I had the privilege of moving this literary knowledge into therapeutic skills. It was within this environment that I found myself gravitating towards Family Therapy. In 1979, I travelled to the United Kingdom (a young New-Zealander’s right of passage) and took up the position of Deputy Director of an Assessment and Treatment Residential Service for Adolescents (Southwark, London). While I was in London I attended a workshop facilitated by the ‘Milan Group’, an innovative band of Italian practitioners who were offering wonderfully creative alternatives to counseling families. This workshop was inspirational and confirmed my passion for a career direction in Family Therapy. 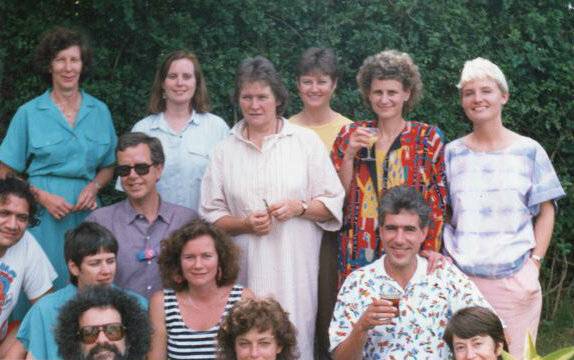 I returned to New Zealand in 1981 and worked for two years with Child and Adolescent Mental Health Services in Auckland . In 1983 I had the opportunity to focus on developing a Family Therapy practice at Glenburn, a short-time residential program where working with Families was an integral component. In 1985 I became Director of the Leslie Centre, a Child, Adolescent and Family Community Service run by the Presbyterian Support Services. The Leslie Centre was orientated toward developing an innovative Family Therapy practice that embraced a social justice perspective. At the centre, we facilitated a 2 year, part-time Family Therapy training program and sponsored many leading overseas practitioners, such as Karl Tomm, Michael White, Betty Carter and Marianne Walters. 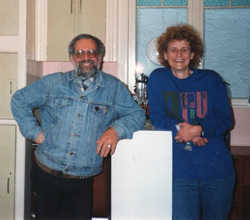 In 1988 David Epston and I left the Leslie Centre to form The Family Therapy Centre, originally based in Sandringham, and then in 1996 we moved to Westmere, Auckland. We hoped to replicate the innovative culture produced at Leslie Centre. We began this endeavor by offering an extensive training program, a clinical service and a venue for Family Therapy interest groups. This was an exciting and productive time and we were immensely supported by Jill Kelly, our Administrator. Clinically, I began to focus on couple work and working with people who had suffered traumatic injuries as a consequence of sexual violence. What emerged from this clinical work was the importance of finding descriptions to produce a perspective where the self was liberated from a judgmental, policing process. I also came to describe my work in part as centered around relational consciousness (for those people interested in the theoretical underpinning of my work and its evolution…read more). Describing what I was developing and noticing in my clinical and teaching practice preoccupied me from 1997 to 2006. This preoccupation is represented through the three books, The Heart's Narrative, Talk That Sings, and Constructing the Narrative in Supervision. Throughout this writing period, David and I shifted our focus from centralizing a physical centre to independently responding to community requests. This was marked by a move of premises. We shifted from a grand Villa to a corner Fish and Chips shop that we converted into offices. This change was a bitter blow for the students at the local Secondary School who took every opportunity to complain about the loss of sustenance. 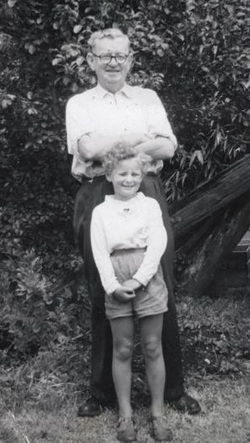 Once we were established, David and I realised that our parents had both worked and lived in a corner shop. Perhaps the decision to move here was shaped by the warm childhood memories we had of this era. From 2006 to 2010 I produced two DVD series and 6 CDs in an attempt to assist people to connect, (beyond the written word) with the ideas and practice I had written about. Once again I physically moved premises, this time to beautiful studio in the tui filled garden of The Family Therapy Centre. This move coincided with the need to ground myself in the physical world, and to take up a past love of tramping on a more regular basis. I bring a relational consciousness to both my work and my life. Relational consciousness has enabled me to access an imaginative capacity that assists me to shine a light on obscured and often lost narrative paths. This in turn illuminates alternative ways of constructing and drawing people’s attention to resources, thus challenging a focus on the individual and/or the family as ill, damaged and needing treatment for this illness or disorder. Since 2014 I have stopped offering a formal teaching program in Auckland as I have entered a new phase where I am committed to being available to where my professional and personal curiosity takes me.